40 DNS Bank Assistant Manager Recruitment Notification Released. Apply Online for Asst Manager Jobs in Dombivli Nagari Sahakari Bank before the last date. The DNS Bank Recruitment 2017 apply online link will be active from 20th November 2017. Get complete details of DNS Bank Assistant Manager Recruitment 2017 like educational qualification, age limit, selection process ect from the below section. The Dombivli Nagari Sahakari Bank has announced the Assistant Manager Recruitment 2017 notification on its official portal. So, it invites applications from the eligible and interested candidates before the last date. So, all the eligible and interested aspirants must submit their application form in ONLINE Mode Only. No other form of application procedure will be rejected by the DNS Bank Recruitment Board. As per the dnsbank.in Recruitment 2017 Notification, the online applications are available at the official portal from 20th November 2017 to 04th December 2017. So, it is better to submit your DNS asst Manager Application form in Online Mode before the 04/12/2017. People whoa re seeking for the Today Employment News in Maharashtra have a good news here. As the Latest DNS Bank Assistant Manager Recruitment 2017 notification released by the DNS officials, many of the unemployed candidates may apply for this recruitment. 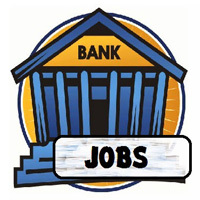 Nowadays, most of the candidates are dreaming of a bank job. For those candidates, here we provide the latest Bank job notification here. So, the contenders who are in Maharastra State and looking for Bank recruitment 2017 may utilise this opportunity and apply it. The applied candidates will be selected based on their performance in the selection procedure done by the Dombivli Nagari Sahakari DNS Bank Recruitment 2017. Above we update the current vacancy details present in the dnsBank.in Recruitment 2017. So, once go to the below section and get the complete details of DNS Bank Assistant Manager vacancy 2017. Before going to apply for Dombivli Nagari Sahakari Bank Recruitment 2017 for Asst Manager post, it is necessary to check the eligibility details. The eligibility details may have the sections like educational qualification & Age limit. So, if you interested in this DNS Bank jobs 2017 please follow the details mentioned below. The willing aspirants must have the Degree (Graduation) in any stream from a recognized University are only eligible to apply for this Dombivli Nagari Sahakari Bank Assistant Manager Recruitment 2017. Along with, you also have the Operating and working knowledge of computer systems as well. He/She must be Domicile of Maharashtra State. For more details regarding the Dombivli Nagari Sahakari Bank Ltd 40 Assistant Manager Recruitment 2017, download the official notification which is enclosed below on this page. Relaxation in Age is allowed by the DNS Bank Recruitment Board upto 5 years for SC, ST, OBC, BC and NT candidates. The readings details such as pay scale, Selection Procedure, exam dates are listed below on this page. So, it will help you to get more information about the Dombivli Nagari Sahakari DNS Bank Recruitment 2017. The DNS officials will select the candidates applied for this DNS Bank Asst manager Recruitment 2017 for Assistant Manager post based on their performance in the following rounds. For SC / ST / OBC / BC / NT candidates – Rs. 500/-. For all other candidates – Rs. 600/-. The first step you need to do while participating in the DNS Assistant Manager Recruitment is to submit the application form before the due date. So, all the interested applicants must have to fill the details in the DNS Bank Asst Manager online application form and submit it to the respective authorities as early as possible. It is better to send now, because during heavy rush the server may unavailable in the last dates. The DNS 2017 Assistant Manager Recruitment Application will be available on the official website from 22-11-2017 to 4-12-2017. Below we provide the simple steps needed at the time of application submission. Once go to the below steps before applying. The Home will display on the screen. On the Home Of DNS Bank, you will have a careers tab on the right side of the Page. Click on the Tab and you enter into the Careers page. Now You will see the latest DNS Bank Job Notifications on the page. Search for the Assistant Manager Post with Ctrl+F. Find the respective link and download the Detailed Advertisement. After reading the DNS Bank Assistant Manager Recruitment Notification Pdf, clcik on the apply online button. Then Enter your details in the respective fields. Upload the Signature & Photo as per the dimensions. After submitting the application form, download the filled application and save it for future reference. Finally, we attached the pdf file of DNS Bank Assistant Manager Recruitment Notification for the guidance of the candidates. So, al the interested candidates may download it from the below link. We regularly follow the DNS bank official site for latest updates. Still, you have any queries regarding this DNS Bank Recruitment 2017, please leave a comment in the comment box. The info we updated on this page is only for reference. For complete details refer official website.